Religion has a contested place in Asian American studies, especially as it pertains to themes of empire. The work of American missionaries in their attempts to “civilize” the “inassimilable alien Oriental” is continuously critiqued as having enacted narratives of white supremacist racism under the guise of benevolent activity. Moreover, Asian American religion scholars such as Jane Naomi Iwamura (2011) and Joseph Cheah (2011) have demonstrated that appropriations of Asian American religions in American popular culture have perpetuated ideologies of orientalization toward Asian American religious practitioners. Indeed, a recent president of the American Academy of Religion, Kwok Pui-lan (2012)—herself an Asian American—laments the complicity of religious studies with imperializing projects. However, as recent work in Asian American religious studies, including the publication of a Pew Forum report on Asian American religions, has shown, religion is an inescapable part of many Asian American communities. This paper session attempts to collect papers that span this seeming paradox in an attempt to chart a way forward in approaches to religion in Asian American studies. How are religions in Asian American studies to be studied, given the imperial context in which many approaches have been complicit? Will the approaches differ between progressive traditions and conservative ideologies? 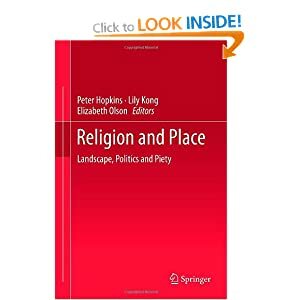 Are religions inescapably imperialistic, or do they, as Kwok Pui-lan suggests, hold within themselves keys to imagining an alternative world where the marginalized can speak back? Please submit all paper proposals to Justin K.H. Tse at tse.justo@gmail.com no later than October 20, 2012 for consideration.